I’ve been wanting to share how to make chocolate Easter eggs for a while now. 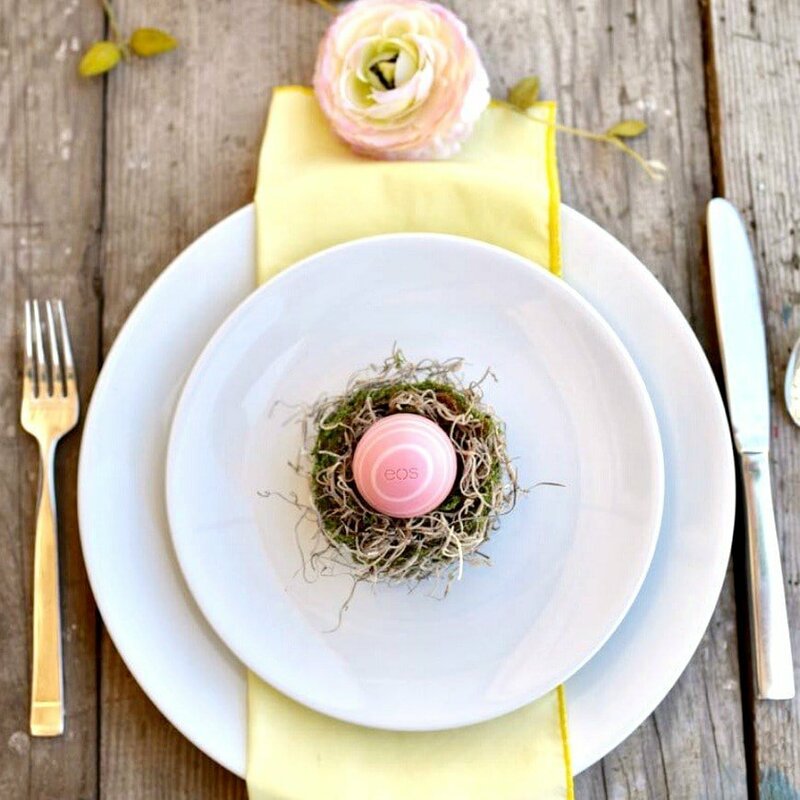 It’s surprisingly simple to create gorgeous egg-shaped chocolates that can be customized in different colors to match your Easter celebration. With just a few simple ingredients and a few minutes, learn how to make chocolate Easter eggs with a mold that will impress everyone this Easter! 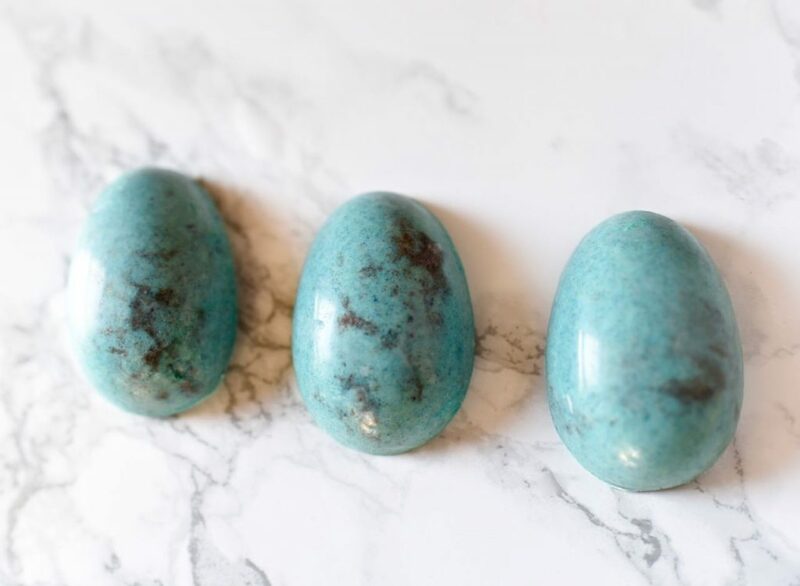 I chose to customize my edible chocolate Easter eggs a beautiful robin egg blue color with brown flecks in it- any guesses what the brown is? 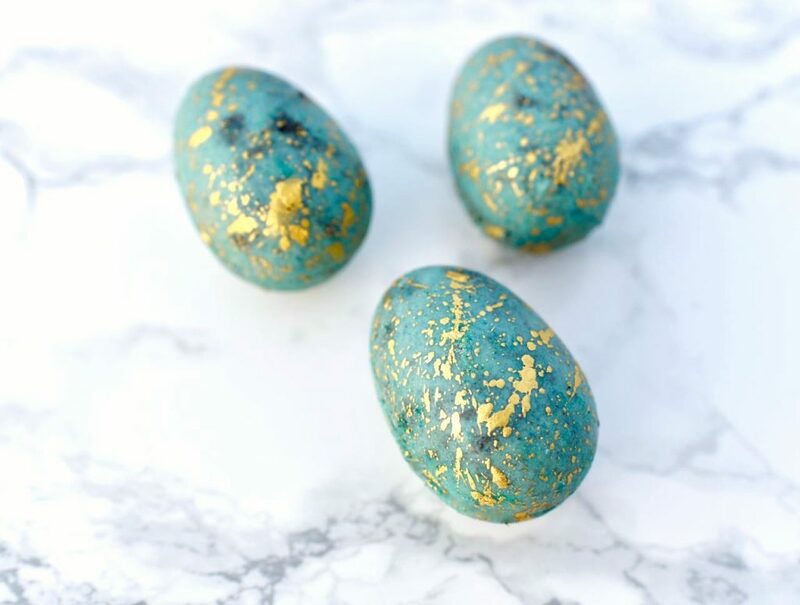 I thought the eggs were beautiful but needed a little more, so I added some edible gold to them. 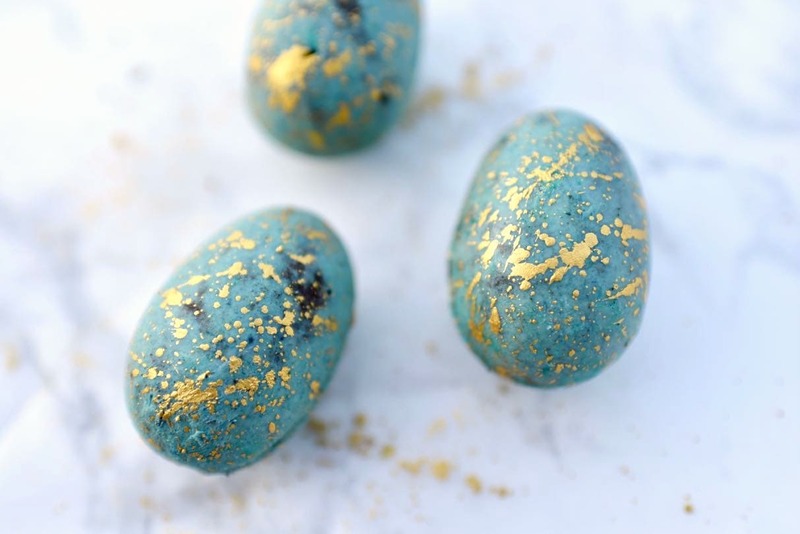 The gold takes these once humble eggs over the top and will truly make them the star of your Easter table! Step 1. 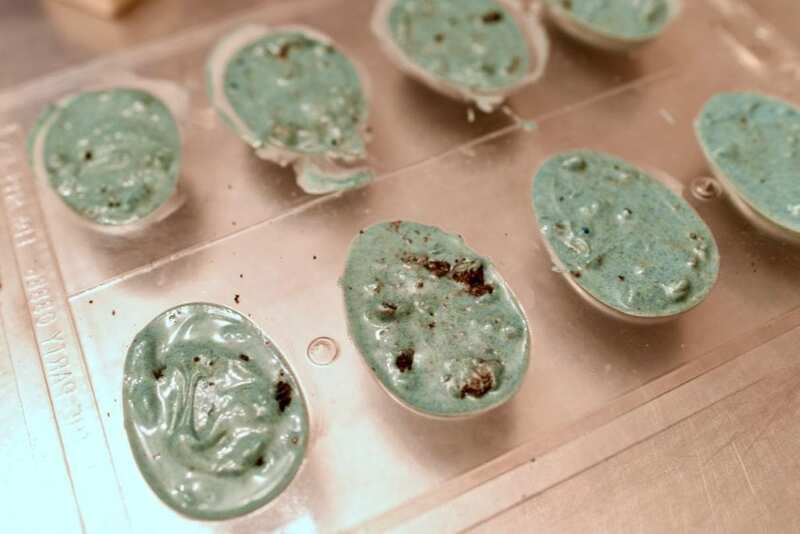 Crumble up some Oreo cookies in a Ziploc bag, then place a small handful in each egg mold. Step 2. Melt the white chocolate almond bark or white chocolate according to the package directions. I always use my electric Wilton Chocolate melting pot because it keeps the chocolate at a warm temperature so it doesn’t cool and I can keep working with it for long periods of time. 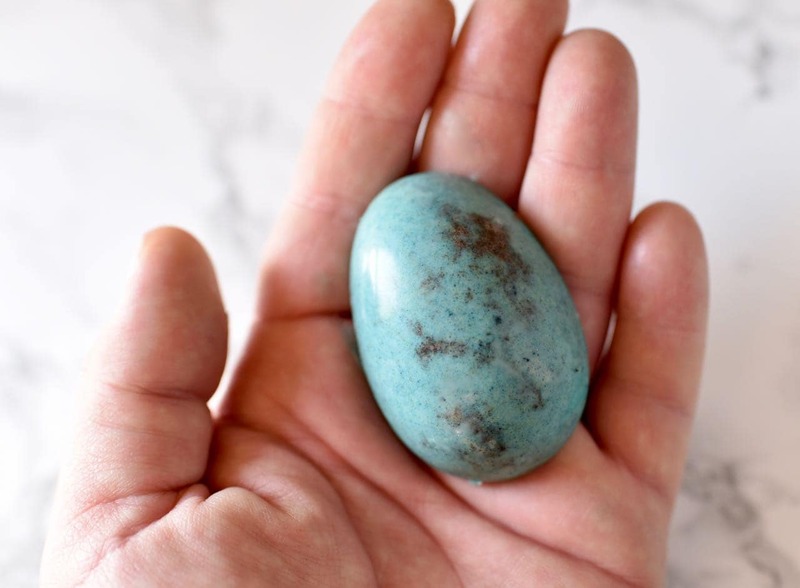 Add some gel food coloring to create the chocolate color that you would like your eggs to be. DO NOT use liquid food coloring- this will make the chocolate seize up and your chocolate won’t be usable! I added some blue, then a small amount of yellow to get my color. Don’t be afraid to experiment and create your own custom color. Step 2. Use a spoon to add the melted chocolate to each egg mold that has Oreos in it. Use a toothpick or utensil to move the Oreo cookies around so that they look even on the egg and you can see them. To check how the top of each egg will look, simply lift up the clear egg mold and look at the base. If you need to add more Oreos or you have too many Oreos in one spot, just add more or move them around with the toothpick. Once your eggs look how you would like them, tap the chocolate egg mold onto the counter a few times to release any air bubbles and smooth out the tops of the eggs. 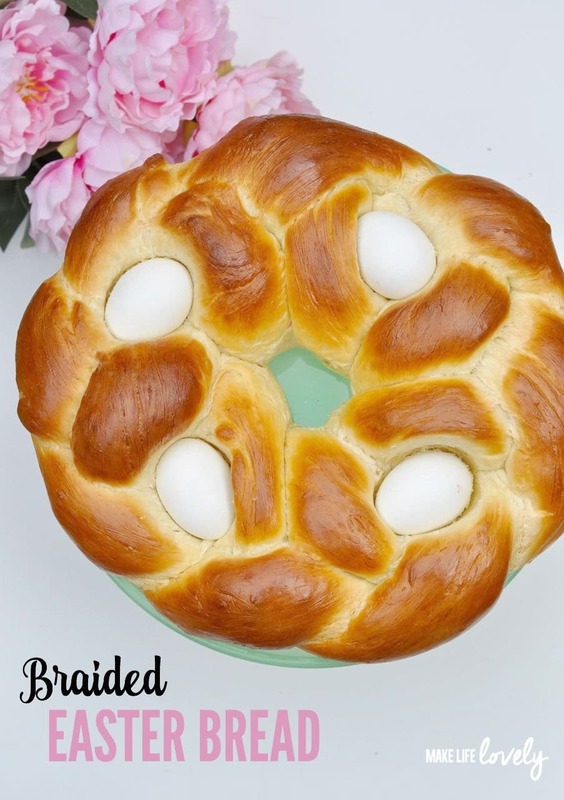 Place the eggs into the freezer so that they are flat and leave them for a few minutes until they are all cooled and no longer liquid. Remove. Step 3. You could use just the egg halves if you like, but these eggs look much better when you put them together to create a whole round egg. To make one whole egg, make sure the top of each chocolate egg half is smooth. If it’s not smooth and even, run a knife along the top to smooth it out. 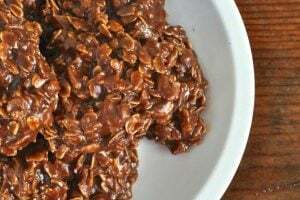 Place a little bit of melted chocolate along the top of one egg half, then press the other egg half on top of it firmly. Hold in place for a few seconds to let the chocolate cool. If melted chocolate comes out the side, just rub a finger on it to smooth it out and make it nice and even. Your egg should be all speckled and beautiful! If you want your egg to look natural, you can stop here. 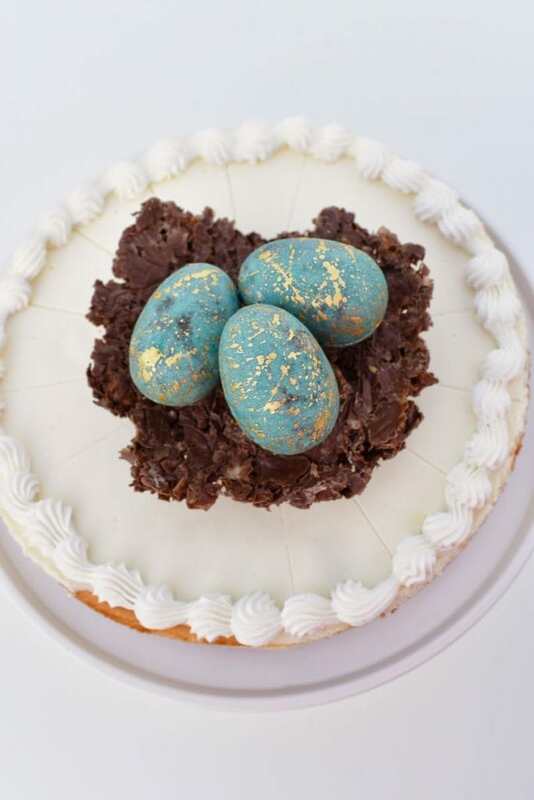 If you want to take your chocolate eggs over the top, then keep reading to see how to add some gold to those gorgeous eggs! Now that you’ve learned how to make chocolate Easter eggs, let’s put on the finishing touches. 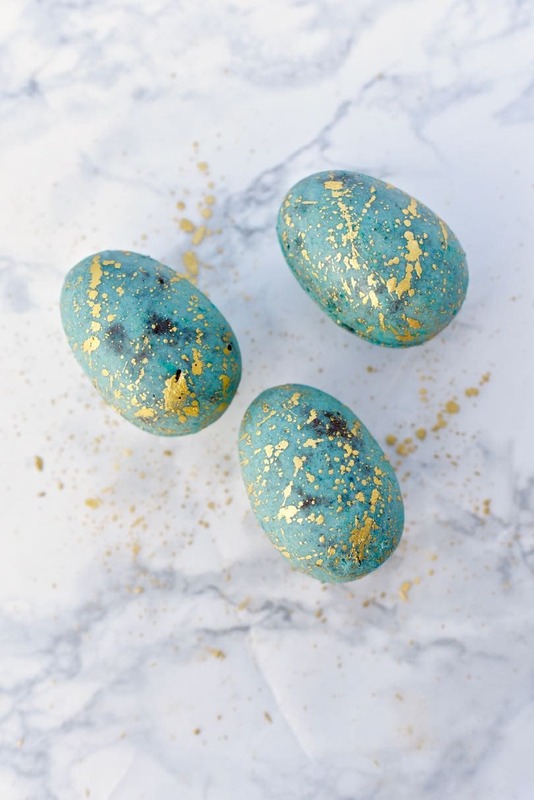 You’ll need a food paintbrush or a brand new unused paintbrush to create the shiny gold flecks on your chocolate Easter eggs. Step 1. 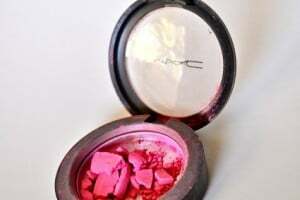 Sprinkle some gold luster dust in a small bowl, then add a small amount of lemon extract or vodka to the gold and mix. I personally use lemon extract since I don’t drink alcohol. Your gold mixture should have a nice liquid consistency. Step 2. 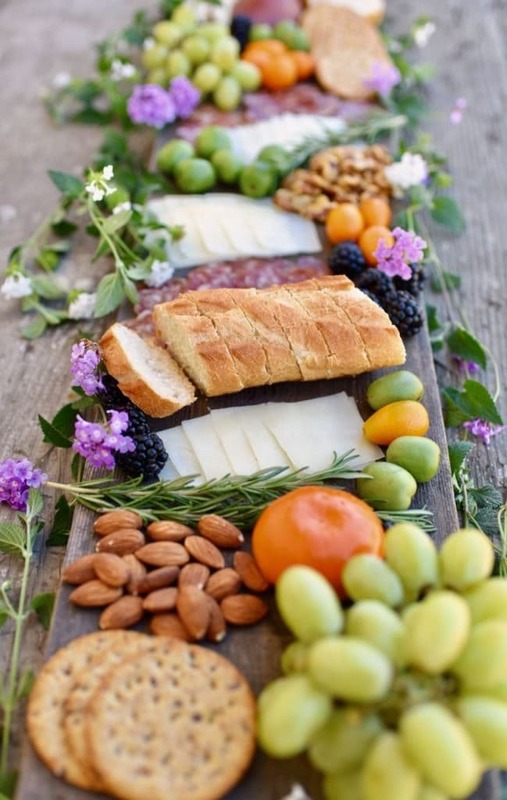 Place a chocolate egg on some foil or wax paper to protect your work surface. 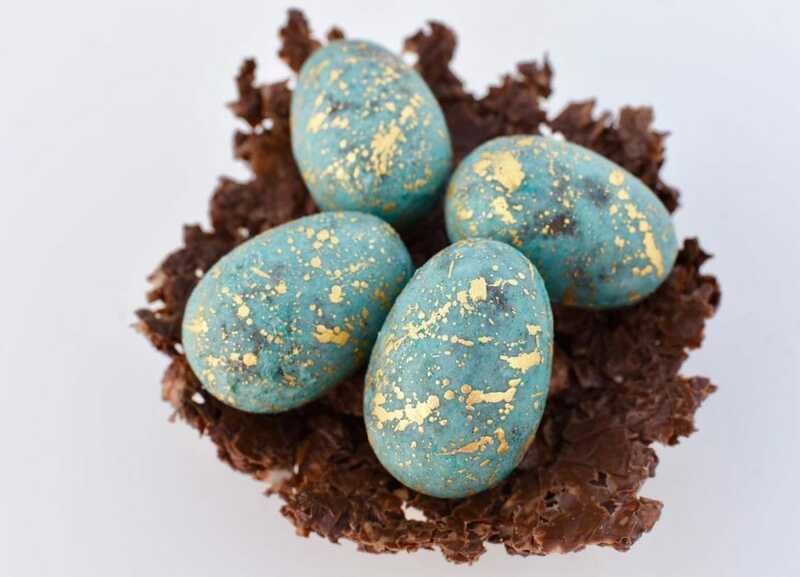 Dip the paintbrush in the gold mixture, then tap the paintbrush with your other hand to get gold speckles on your chocolate egg. Repeat until your egg looks like you want it too, then let dry. Repeat for bottom half if you’d like. Be careful touching the gold because I noticed that it does smear a little bit. Aren’t these edible chocolate Easter eggs AMAZING?! They are so smooth and perfect. 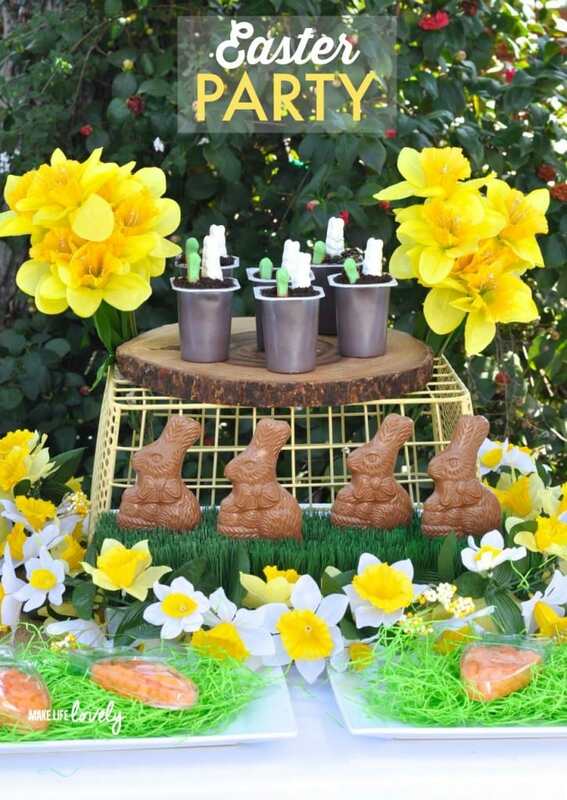 The chocolate Easter egg mold does most of the work for you! 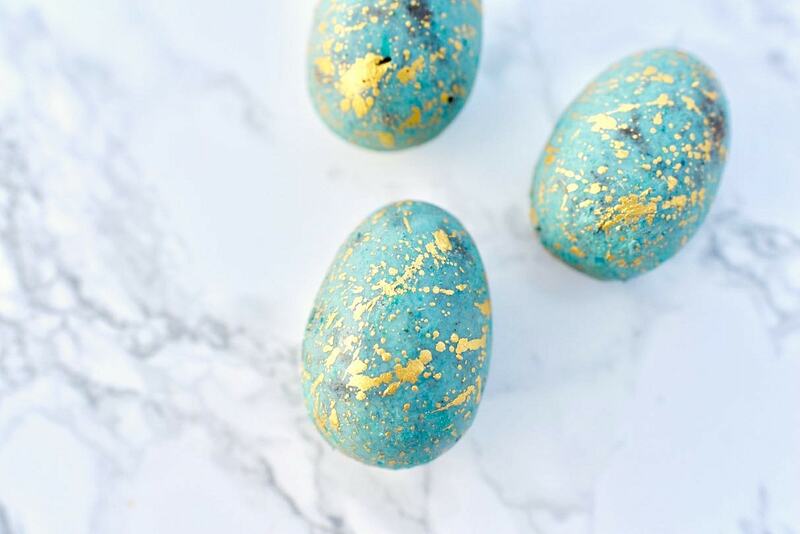 There are so many things you can do with these speckled chocolate Easter eggs! 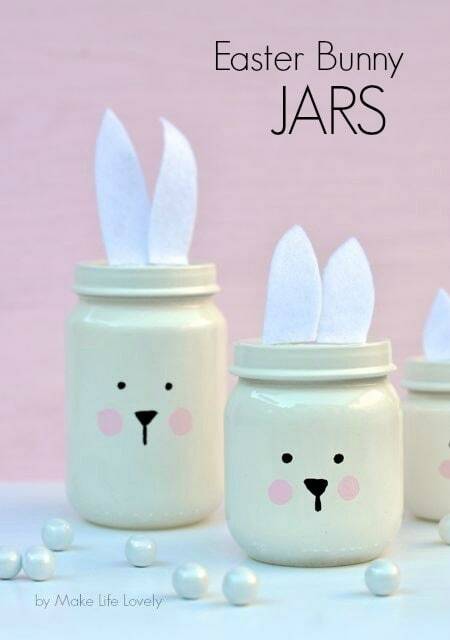 You could place them on the Easter table in an edible nest (which I’ll be sharing with you soon), place on top of an Easter cake or dessert, use as a pretty edible Easter place setting, wrap them up as Easter dinner treats or Easter party favors, or just leave them out to look at as a decoration. 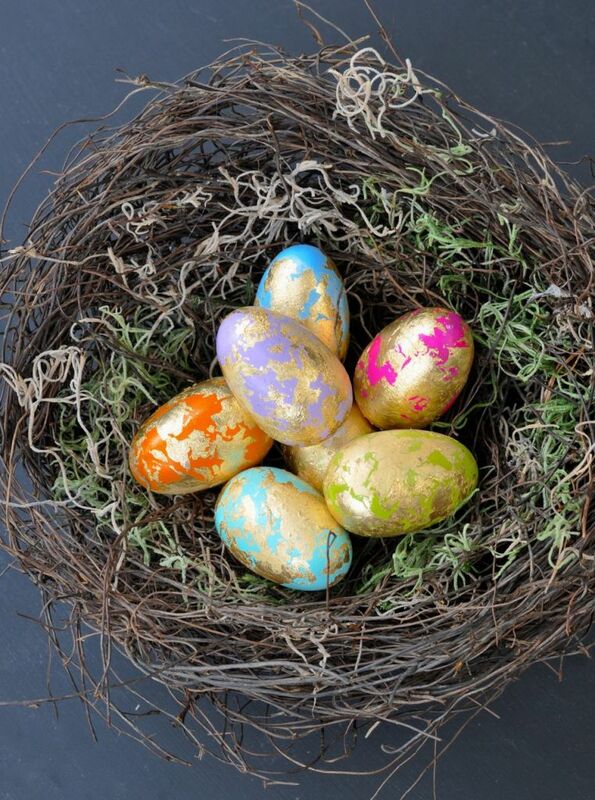 Now that you know how to make chocolate Easter eggs, what colors will you try? 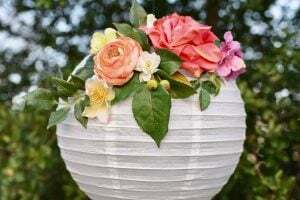 Be sure to follow on Instagram, Pinterest, and Facebook for more creative parties, DIY’s, crafts, and recipes. Thanks for following!